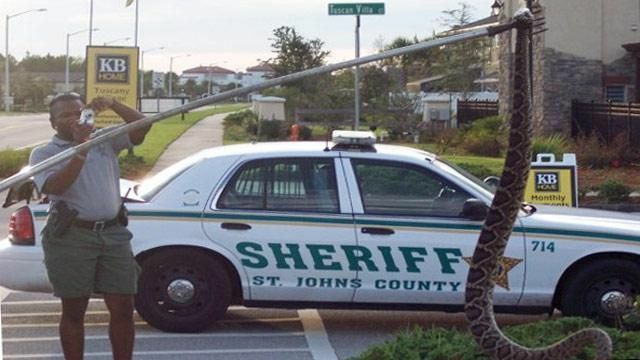 In Florida, people saw near their house a huge snake and called the police. Trappers were called later and they were horrified when they saw the monster. 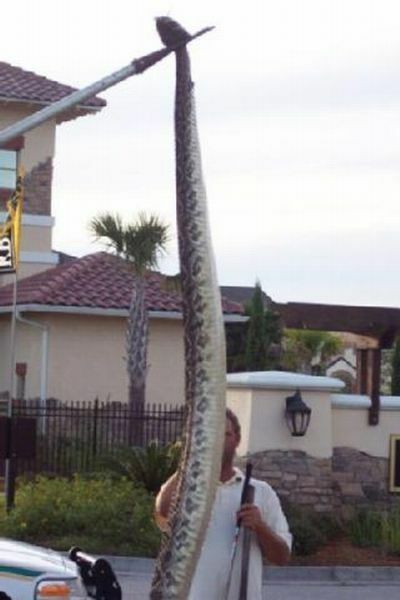 As it turned out later, it was a 7 feet 3 inches long giant Eastern Diamondback rattlesnake, now being called Rattzilla. 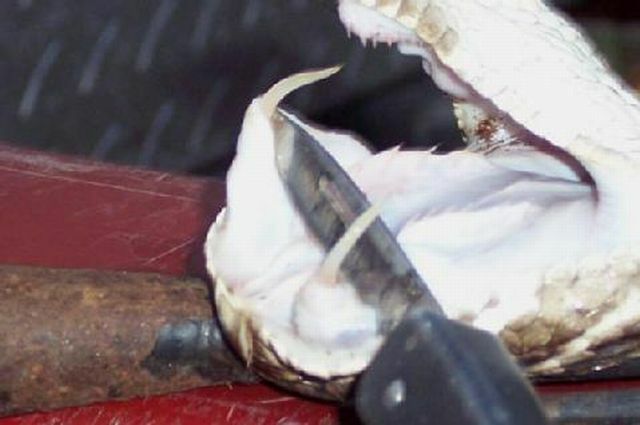 Trappers didn’t have any other choice but to kill the snake. You can see the size of the monster after the jump. i wanna have that kinda pet. There are much bigger snakes than that, but for it to be a poisonous one THAT BIG AROUND... wow, it must've been feeding VERY WELL!! !